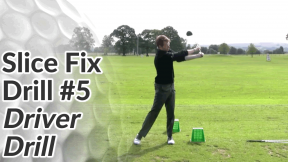 In this ‘cure a slice’ mini series, we’ve already covered the two main set up faults (alignment and grip) that can cause a slice. 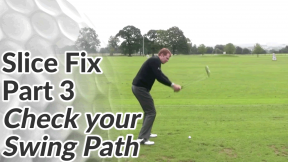 In part 3, we also looked at how an incorrect swing path can greatly increase your chances of slicing the ball and how you fix that quite easily. If you haven’t seen that lesson, watch it here before moving on to the final lesson below. 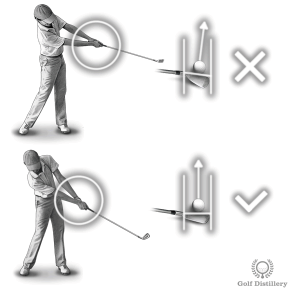 Proper hand and forearm rotation, timed correctly, prevents the club face from being ‘open’ at impact (see the image to the right). 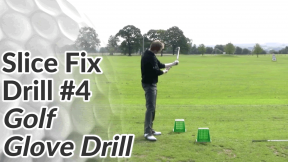 It’s this open club face that imparts clockwise spin on the ball causing it to curve to the right. With proper hand rotation you’ll not only hit the ball straight (or with a controlled draw), you’ll also hit it much further. 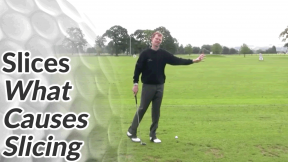 As I mention in the video above, achieving the right amount of hand rotation and the correct timing, does take a bit of practice and feel. 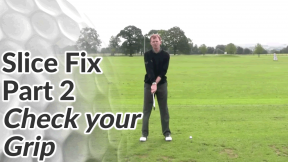 You want to cure your slice but you don’t want to start hitting vicious snap-hooks either. 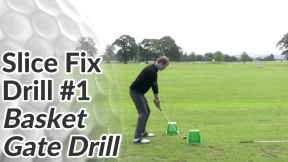 Now, start by deliberately hitting push shots out to the right (for the right-handed golfer). In other words, notice how it feels to hold the hands off with very little rotation and how that causes the ball stay right. Now really exaggerate your forearm and hand rotation. 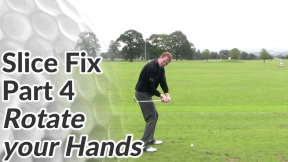 Really turn the hands over aggressively and early so that the ball turns sharply from right to left in the air. 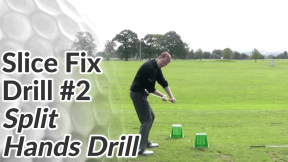 As you do this, make sure you maintain your in-to-out swing path – the ball should always start out to the right and then curve back. 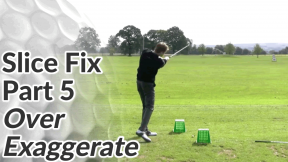 For a few shots, alternate between hitting push-slices (very little hand rotation) to snap-hooks (lots of hand rotation). 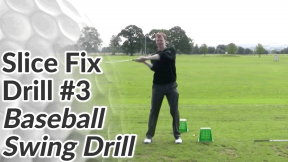 Now using feel, try to gauge the right amount of hand rotation to send the ball straight or with a slight draw. 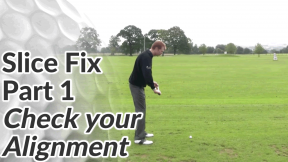 Remember though, you always want the ball to start straight and stay straight or to the right of your target drawing back slightly.